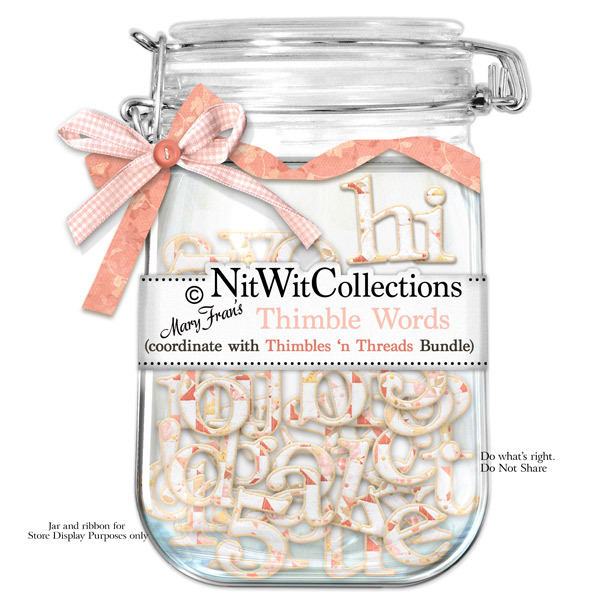 "Thimble Words" is a "quilted-look" alpha that can be used to add phrases, dates, and words to your scrapbooking layouts and for making cards with. Easily applied without the painstaking task of each stitch! !